I took the kids to sign up for our library reading club. 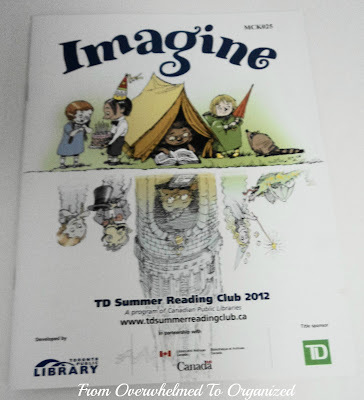 It's sponsored by TD in partnership with Library and Archives Canada and developed by the Toronto Public Library. The librarian was great and talked with my kids as much as with me! I always love when that happens. The purpose of this club is to encourage kids to read throughout the summer, with the emphasis on developing a love of reading in each child. The theme "Imagine" is perfect for both my kids as they have active imaginations. When they registered, each of my kids got a poster with the above image on it. On the back is a giant image to colour (I'll leave that for later in the summer when they are getting bored with other activities!). 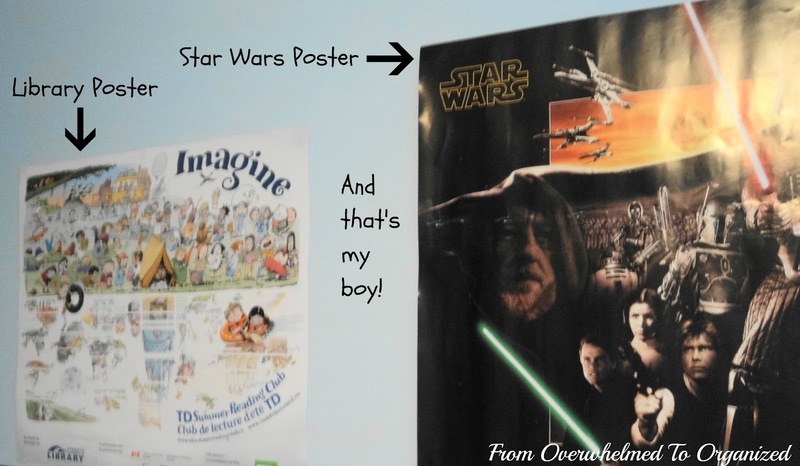 Here are the posters on their walls. They also each received an activity book. This is what the front of the activity book looks like (there's that tent / castle!). 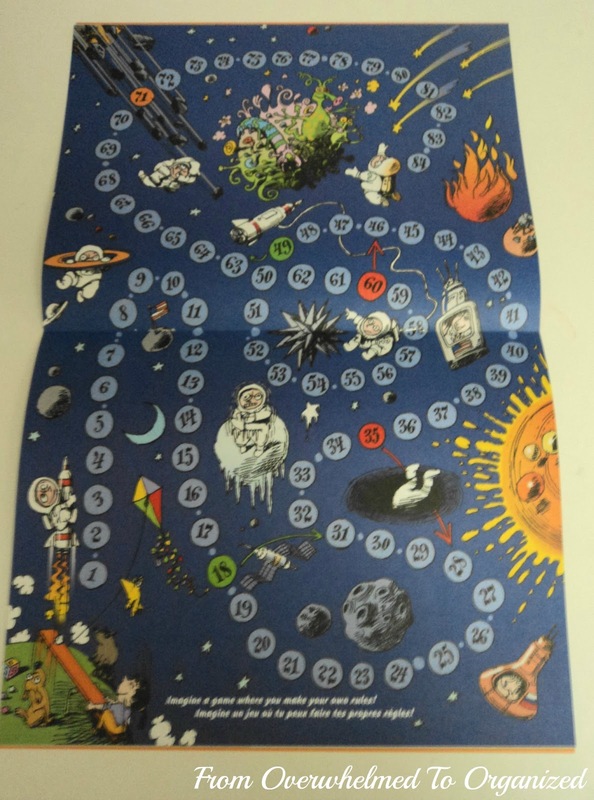 and several pages with activities and games for the kids to do. There is also a page where they record all the books they read and a spot for them to rate each book from 1 to 5 stars (this is kind of a new idea to my daughter - she likes every book!). Each week, there is a club meeting at the library with crafts, games, and activities related to the theme "Imagine". The kids can also talk about what books they read that week. Or, if they can't make it to the club meeting, the kids can go to the library at any time and talk with a librarian about the books they read. Then they receive a sticker to put up on the wall of the library with their name on it. As the summer progresses, they will be able to see all the kids who are reading. They also receive a set of 3 stickers with codes that unlock online games. There are a total 9 of these codes so after 3 visits they will have unlocked all the games. At the end of the summer they get a certificate of participation. Both of my kids signed out a bunch of books and are looking forward to going back to the library each week. I'm glad they are excited about this reading club and going to the library. 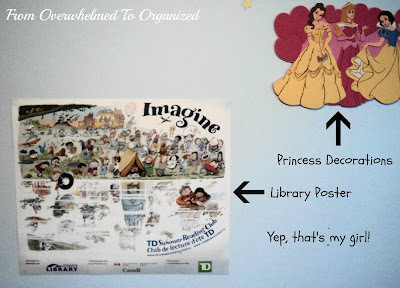 Brings back fond memories for me (see the previous post for my childhood library club experiences including a picture of me with my "Super Reader" T-shirt!). The educator in me has always been convinced of the need to help my kids learn and grow to their full potential and it's great to be home and able to help them do that this summer. 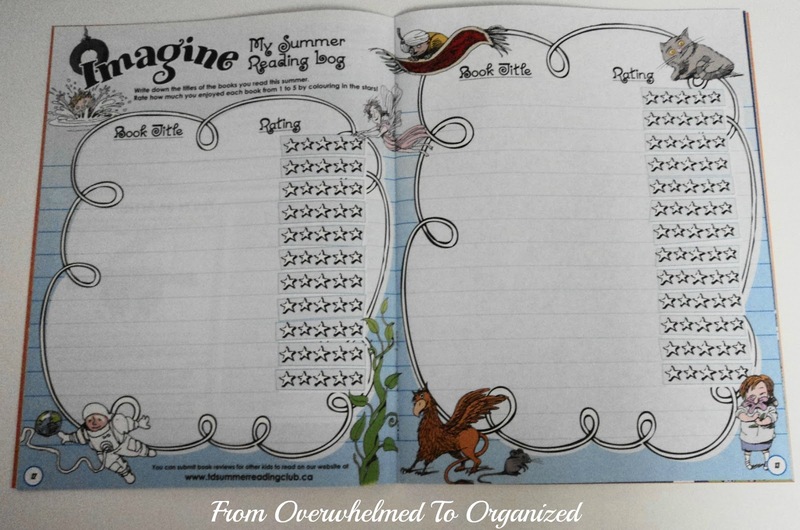 It's all part of my organized but hopefully balanced summer! 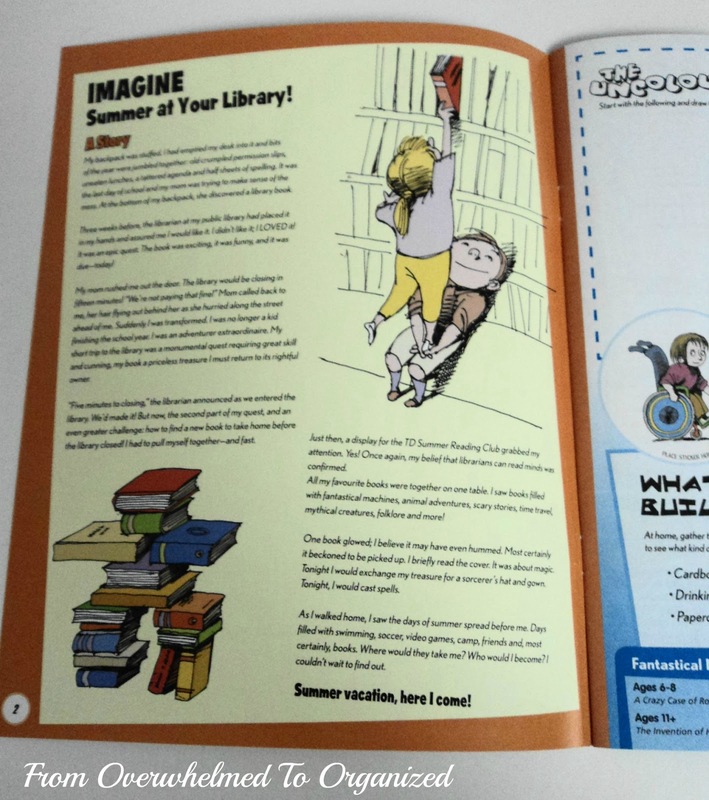 If you're interested in more information about the importance of summer reading, you can read the Library and Archives Canada's Literature Review on the Impact of Summer Reading Clubs. Or you can Google "summer learning loss". I found lots of helpful tips on how to help your kids keep their academic skills fresh all summer. How about you? Do you have any experiences (as a teacher, parent, or student) with summer learning loss? Were you ever in a library reading club? 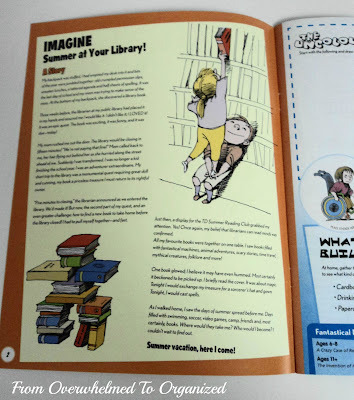 Have your children participated in summer reading clubs? I'd love to hear your stories! Thanks Karri! Reading clubs are great. Thanks for the Liebster Blog Award too! It's a great idea and an honour. I'll pass it forward soon! Wow Leanne! That makes me even more motivated to keep my kiddos reading this summer! I did summer reading programs all the way through high school. My whole family is voracious readers so it was o problem for us. I signed Little Man up for the summer reading club this summer even though he is only 7 1/2 months old. I definitely want to pass on the love for reading! I used to read all the time and loved the summer reading clubs. That's great that you're reading with your 7 1/2 month old! It's so important. Thanks for visiting and commenting! What a great idea, and love the summer reading idea! I used to be a advent reader, and then suddenly lost it when I started blogging, no time! Thanks for sharing your creative inspiration with Sunday's Best. It's hard to find balance sometimes isn't it Cathy?! I don't read as much as I used to either but I'm trying to do it more so that my kids will follow my example. If they see me on my computer all day it's pretty hard to tell them they can't use their electronics all day :) Thanks for commenting! Great idea! Thanks for sharing at the All Star Block Party. It is so great to make these things even more fun for the kids. You are a good mooma! I love the library. So glad you are making it so important for your kids. I'm afraid libraries will be things of the past someday soon. I hope libraries are still around for a long time Meg! Thanks for commenting & hosting a great party! 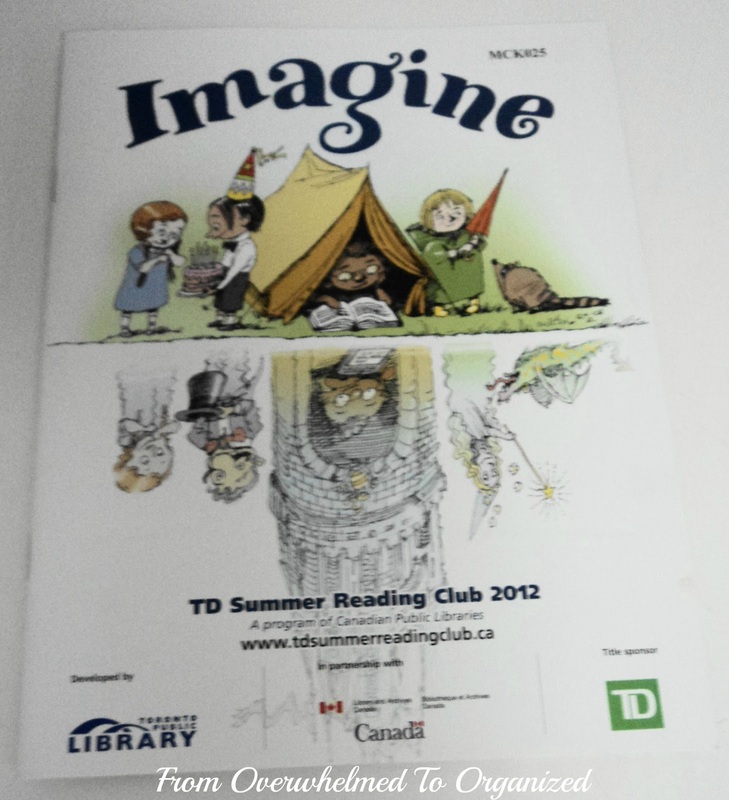 What a fun summer activity for chilren to also encourage them to read and use their imagination! I don't have a kid but this is something to look forward to in the future. Thank you so much for sharing this at Passion Parade!